Are you looking for a professional to help you learn more about fitness and nutrition? 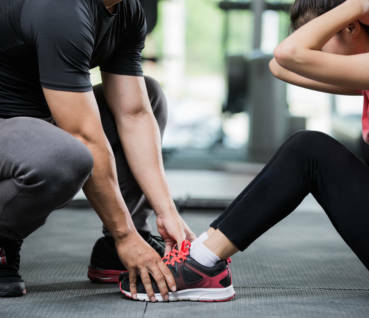 Working with a personal trainer can provide many benefits for your health, wellness, and strength. A personal trainer should help you find confidence and success on your fitness journey. All of the personal trainers here at Worden Physique aim to do that and more! We will match you with a trainer and schedule that best matches your life. This makes it easier to incorporate fitness into your regular routine and start seeing–and maintaining–results. Enjoy a completely personalized workout as well as the undivided attention of one of our trainers when you sign up for our Tucson personal training sessions. We will help you track your results–daily, weekly, and monthly! Keeping track of your results makes it easier to see if you’re meeting your goals and evaluate how far you have come in your journey. Furthermore, we will meet with you biweekly to discuss your progress. This can help you regularly re-evaluate your goals and find areas to focus on in the future. No matter what your goal is, we can get you heading in the right direction! This program caters to athletes of all experience levels. If you want to join with one to two friends, your motivation will go up as the price goes down! Spots fill up quickly, so contact us today to get started! Bring a partner to save $10 per session, bring 2 partners to save $15 per session!